If you grew up dropping your quarters into arcade machines, nothing will bring back those memories like building your very own arcade cabinet. 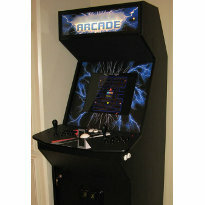 The availability of MAME and pretty much every arcade ROM in existence makes this easy...you just need a nice cabinet. While plans for CRT MAME arcade cabinets are available, a cabinet designed solely for an LCD screen is a little harder to come by. Check out this project (with basic plans) to build your own. Everybody loves going to the movies. The size of the screen and the booming bass make it an experience like no other. What if you could bring the movie theater to your home? 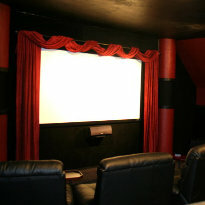 For many people, having a dedicated home theater is the pinnacle movie experience. This project takes you through the entire process, from the original framing all the way to the finished product. With the rising cost of utilities and the desire to reduce the burden on the planet, building an energy efficient home is a conscious goal of many home owners. This project describes the quest to build a new home with high efficiency walls, while still balancing the budget. 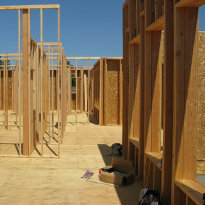 Using wood framing, a staggered stud - double wall hybrid layout was used to create 10 inch thick walls. This tutorial discusses many of the steps in automating a home, including using a home automation controller, automated light switches, irrigation, video, security and more. 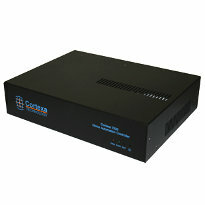 The home automation controller used is a Cortexa 7202. Cortexa no longer makes this model (they have a more advanced controller now). Although some of the hardware used is a bit dated, the setup and process is still very applicable.